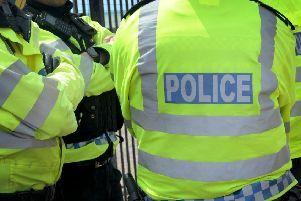 Throwing axes, smoke grenades and several gas powered pistols were stolen from a container in Faygate. Police said thieves stole the items after forcing open a shipping container at Holmbush Paintball, along Crawley Road. The incident took place between 4.30pm on Sunday July 22 and 4pm on Tuesday July 24 and officers have released the information today (August 3) as part of an appeal. Anyone with any information is asked to report it online or call 101, quoting serial 1231 of 24/07. Food and drink was also stolen from Holmbush Farm in an early hours break-in. Police said thieves broke into the site at around 3am on July 24. Anyone with information asked call 101 or report it online, quoting serial 0333 of 24/07.